Our stay was brief, just after a comfortable place to sleep on our journey. 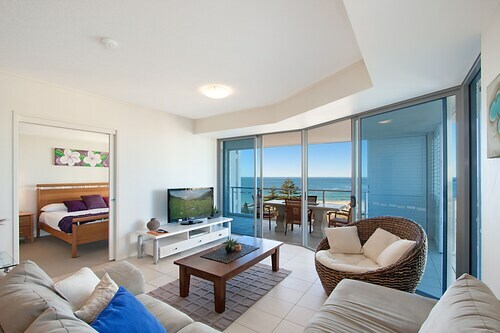 The room was a bit dated, but clean and comfy. 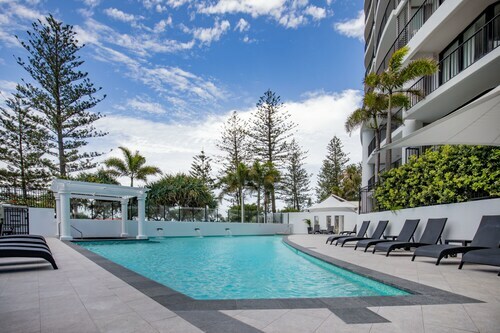 Situated near the beach, this vacation home is within a 10-minute walk of Twin Towns Uniting Church and Coolangatta Beach. 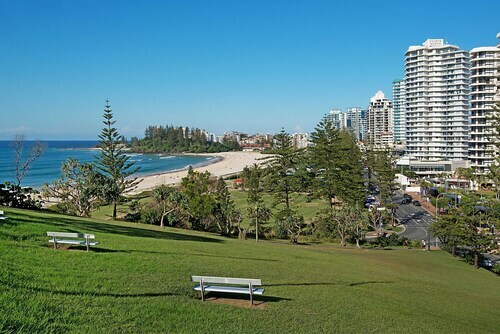 Kirra Beach and Greenmount Beach are also within 1 mi (2 km). 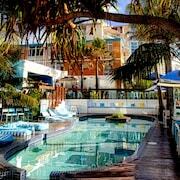 Do you want to know some more about The Strand before you book? Here are a few handy pointers. Wondering where it is? 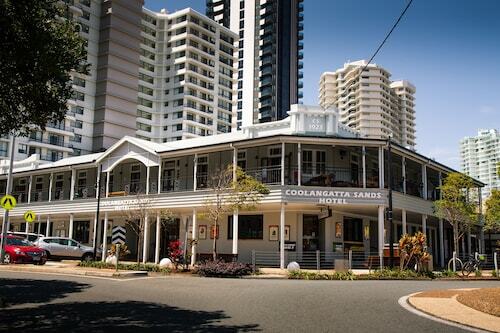 Unfold your map and trace a circle around Gold Coast. 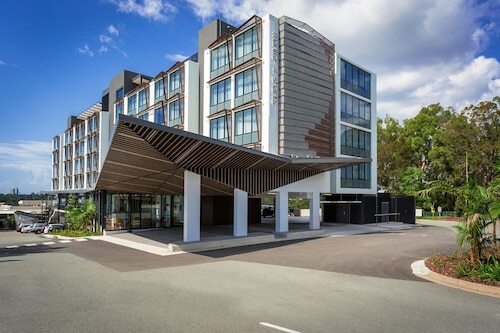 It is located 75 kilometres from the state capital, Brisbane. 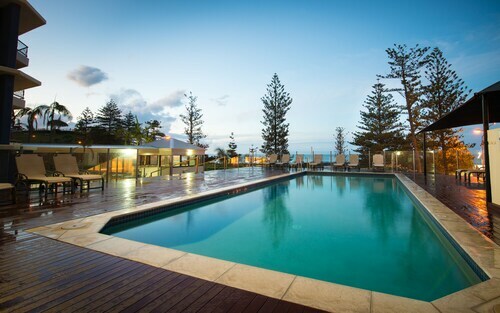 Fortunately, there's a huge variety of well-placed hotel options, with 20 within an easy walk of The Strand. Not sure where to start? 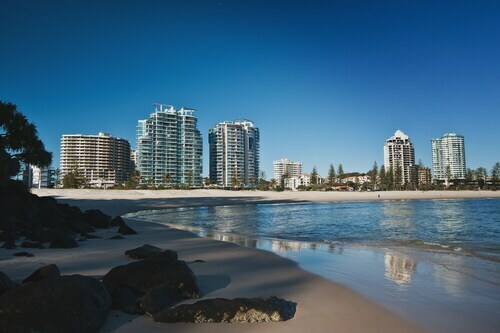 Take a look at the Reflection on the Sea, Reflection Tower Two and Mantra Coolangatta Beach. 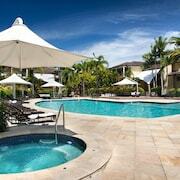 Economical travellers ought to take advantage of the region's reasonably-priced accommodations. 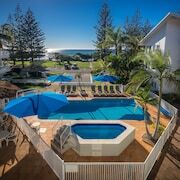 The Coolangatta Sands Backpackers is a modest 0.3 kilometres away, and if that doesn't tick all the boxes, the Kirra Beach Tourist Park is only 2 kilometres away. 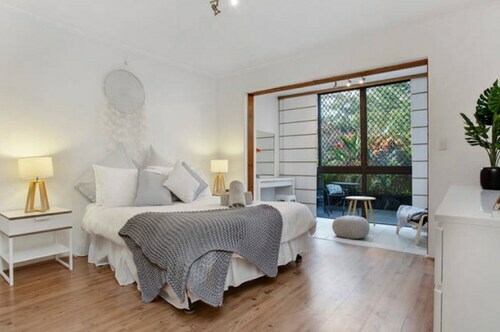 Do you like to feel pampered? 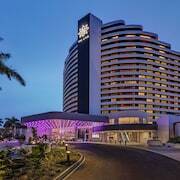 Then splurge and book a room at one of the numerous high-end hotels in the area. 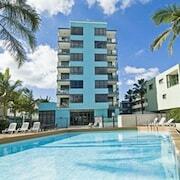 Check out the rooms at the Kirra Beach Apartments, a kilometre away. 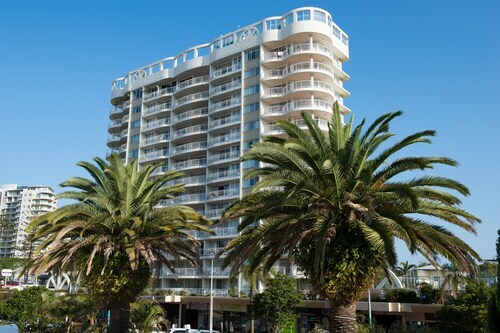 Alternatively, the Points North Apartments is only 0.1 kilometres away. 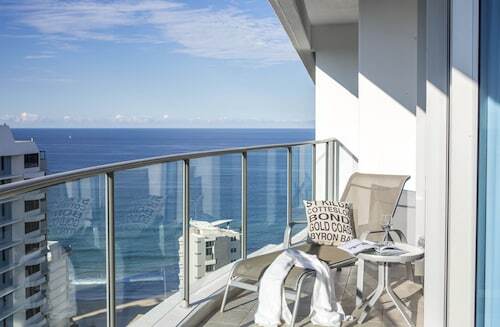 Make a beeline for The Coffee Club Coolangatta (Shop 4, Reflection on the Sea, 120 Marine Parade, Coolangatta) for your morning caffeine fix. It's about 0.5 kilometres from The Strand. 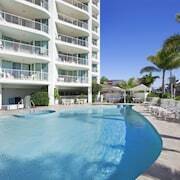 For something more filling, check out the menu at Komune Resort and Beach Club Coolangatta Gold Coast (144-146 Marine Parade, Coolangatta). It's only 0.7 kilometres away. 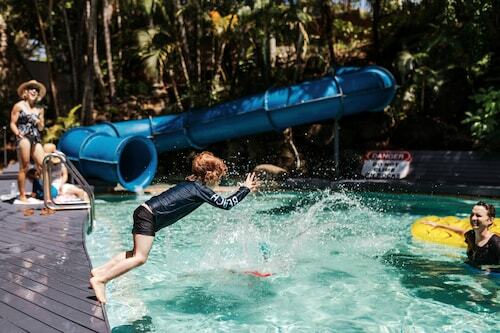 Fit in some exercise with a morning of endorphin-inducing water-based pursuits at Walkin' On Water Surf School. Nothing quite compares to the tranquility of lying by the water. 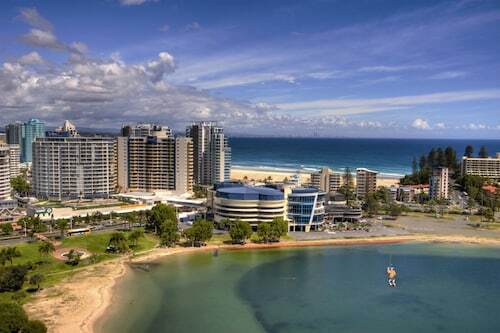 Make sure you venture to Coolangatta Beach. Twin Towns Uniting Church is a well-known monument, ideal for tourists searching for some serenity. There's nothing like the joy of lying by the water. 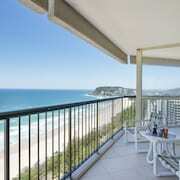 Be sure to visit Greenmount Beach. 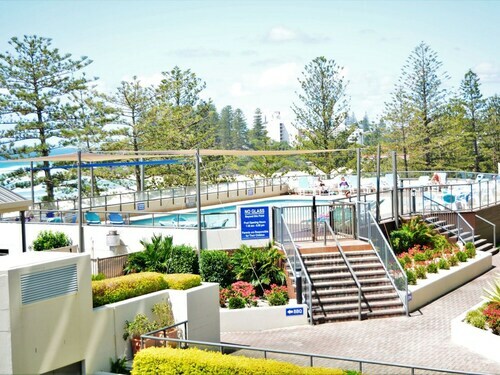 Explore Kirra Hill Community Center, followed by some lunch at one of the hotels or bistros within the vicinity. 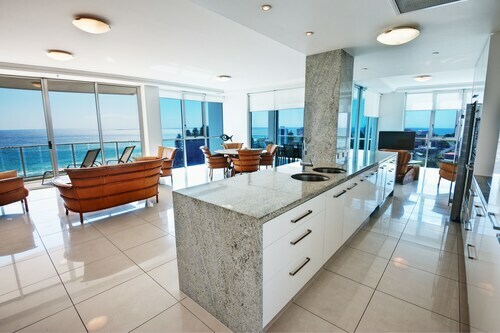 How Much is a Hotel Room in The Strand? 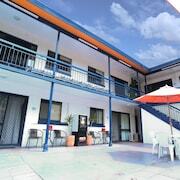 Hotels in The Strand start at AU$57 per night. Prices and availability subject to change. Additional terms may apply.